Ben’s background in the landscaping industry began working for his brother’s business, Bearss Landscaping, based in Buena Vista, CO. Ben grew up in the landscaping industry working every summer for the family business, with older brother Josh, the boss, and dad Jim, the landscape architect. Landscaping was in Ben’s blood from the start. 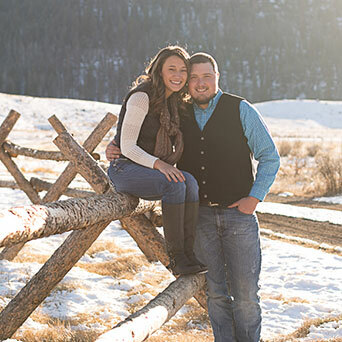 Ben was quickly promoted and excelled in the role of manager with Bearss Landscaping where he remained for several years until moving to Montana in 2015. Ben has a passion for hardscaping and outdoor living spaces and he looks forward to sharing his expertise with anyone interested. Emily has a background in Realestate and bookkeeping, continuing to make LBPL a family run business. Ben & Emily Bearss are excited for this new endeavor, as the new owners of Last Best Place Landscaping. They look forward to this making this transition with you.